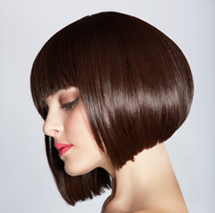 At The Retreat Hair Salon in New Orleans, we believe there is a perfect haircut for everyone. And we’ll go to great lengths to create a style that you’ll absolutely love! Is there a secret to getting the perfect haircut…the kind of haircut that makes you feel amazing and earns the compliments of total strangers? Yes! It begins with a complementary personal consultation to learn all about your hair type and texture, the shape of your face, your morning routine and how much time you like to spend obsessing over your hair each day (or not obsessing over your hair each day, as the case may be). All these factors and more are considered as the stylists at our hair salon work together with you to choose a haircut and style that works beautifully for you! Do certain hair styles work better than others for different face shapes? We think so. Certain haircuts are more flattering to particular facial shapes than others. Follow our tips below to learn which styles will work best for your facial shape. If your face shape is square, opt for a style that is shoulder length or longer. Soft asymmetrical haircuts are great as well as hair styles in which your hair can be parted on the side with side fringe or side swept bangs. This helps to soften your facial lines. We typically recommend avoiding haircuts that have horizontal type lines such as short chin-length bobs and straight across bangs that can make your face appear to be even more square shaped. Rounded face shapes should normally avoid styles that are super short or above shoulder length. Try a longer hair style with some layers around your face that can be swept away from your cheekbones. If you like bangs, then choose a style with long bangs that are wispy at the sides of your forehead. Heart shaped faces look fabulous with styles that create volume around the chin or waves in the lower half of your hair. This helps to balance the width at the upper part of your face. Avoid having too many curls or too much body in the upper part of your hair, and concentrate instead of volume in the lower half. If your face is long, stay away from haircuts and styles that are stick-straight and that extend past shoulder length as this can make your face look even longer. Choose haircuts and styles that are near or above your shoulders, and add soft waves or curls to your hair for some volume on the sides to balance the length of your face. Oval faces are easy! If you have an oval face shape, the world is your oyster, and practically any hair style will flatter your facial shape. Longing for a new haircut or need expert advice on which style will work best for your facial shape? Make an appointment with one of our stylists at The Retreat Hair Salon in New Orleans. 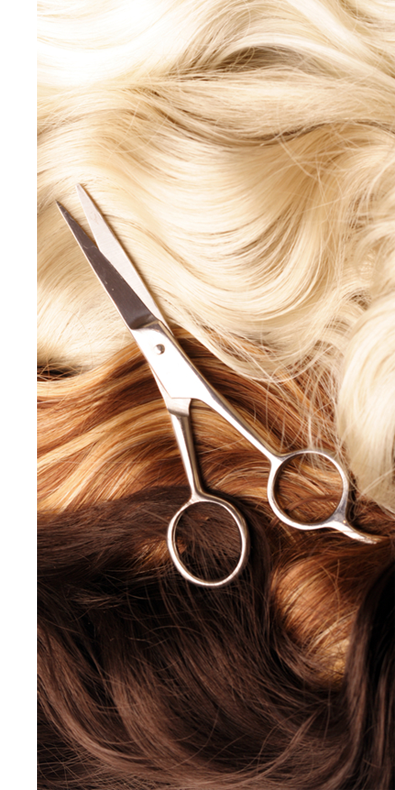 We’ll take the time to get to know you as well as your hair, and we’ll create a look you’ll love!